What is a Bullseye section type? With the Bullseye template, you will be able to determine how close to your objective your notes are. Bullseye charts are useful for plotting data (data that is both quantitative and continuous in measurement). We offer three-section and four-section Bullseye templates for you to choose from. Below is an example of the four-section Bullseye template. 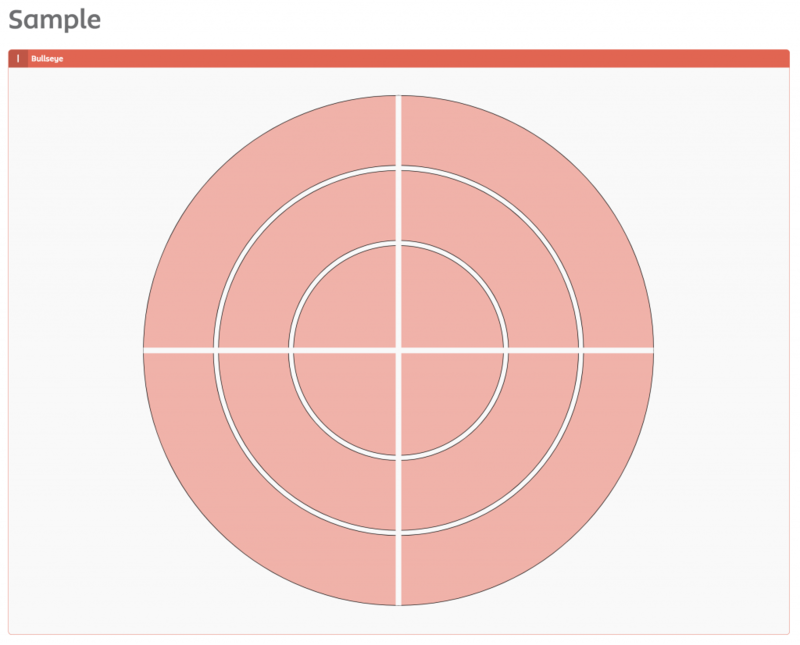 Find a bullseye diagram in our template gallery. 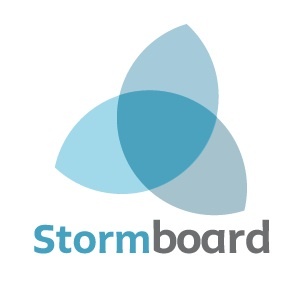 Note: For Business and Enterprise subscribers you can add a Bullseye to any section by changing a section type in your Storm and selecting "Shape". If you are on a trial or Personal Plan and would like to upgrade to a paid account, visit our pricing page. Header Color - Change your bullseye or circle diagram to the same color as the section types header. # of rings - Change how many rings (stages) your bullseye diagram has. Between 1 & 5 total rings. Label - Label any rings you want to show a title. Labels show inside of their corresponding ring. # of slices - Change how many slices your rings are divided into. Between 1 & 5 slices. Label - Label the slices you want to show a title. Labels show outside of the bullseye diagram above their corresponding slice. Note: When you generate a report from a Bullseye section the ideas will be organized into their corresponding rings and ranked by how close they are to the inner ring of the Bullseye.